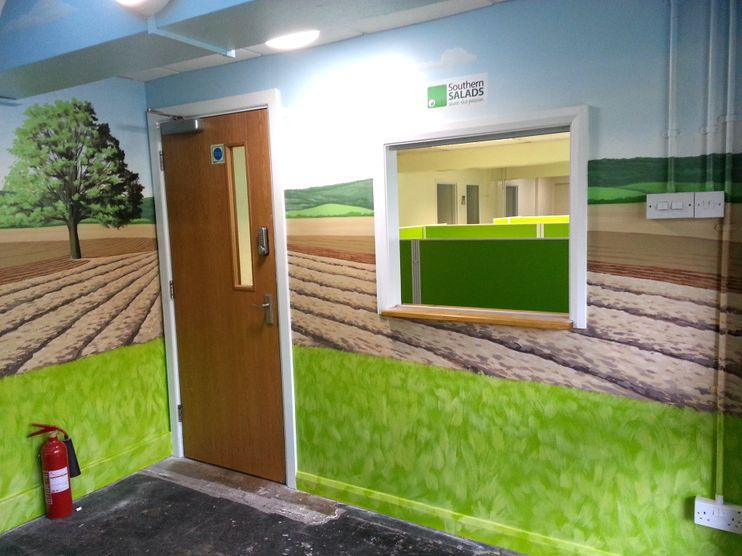 We painted upstairs and downstairs in the new reception for Southern Salads, giving it a total make over. 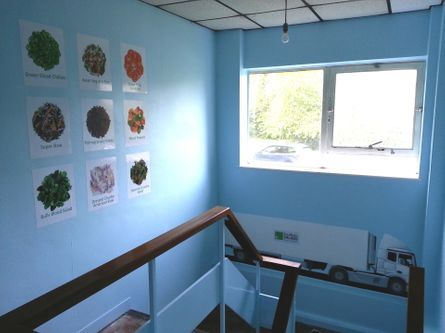 We painted upstairs all in a bright sky blue, including all skirting, the banisters and metal parts of the stairs. 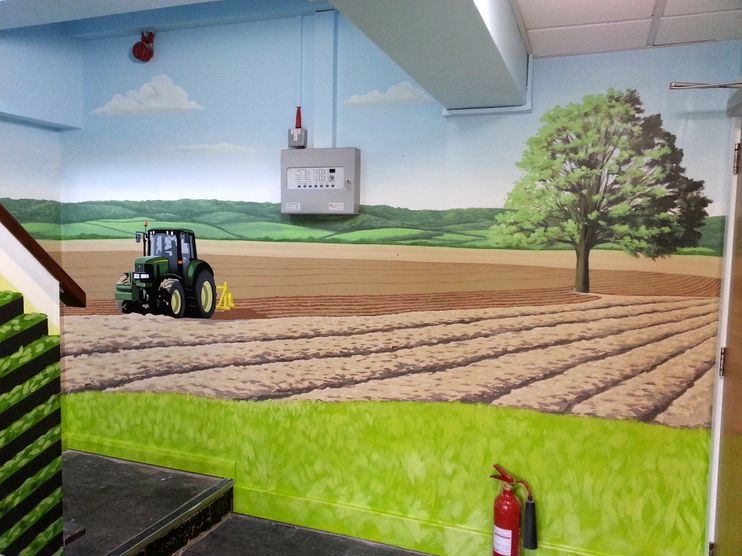 We then slowly faded this down adding some fluffy clouds, leading to a farmland scene complete with rolling hills and a tractor. 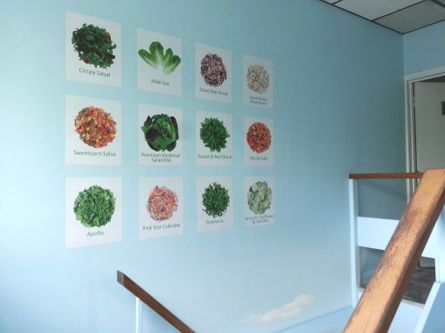 Upstairs we had vinyls made to show off the products that Southern Salads have on offer and we painted a Southern Salads delivery lorry at the half way point up the stairs. This took us six days to complete.